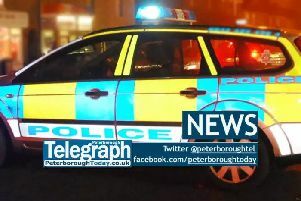 Police are appealing for information following an attempted robbery in Huntingdon. The incident happened at about 8pm yesterday (March 13) in Sycamore Drive when a man wearing a red top with the hood up cycled up to a woman, slapped her round the back of the head and attempted to steal her handbag. The man attempted to pull the bag from her but failed and cycled off in the direction of Swallowbush Road. The victim was not injured but was left shaken and upset. Anyone with information is asked to call DC Peters police on 101, or Crimestoppers, anonymously, on 0800 555 111.